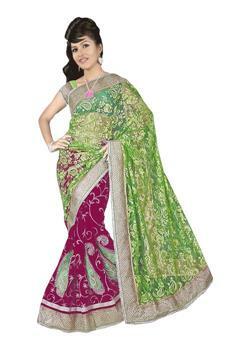 Incredible Pink & black the Ravishing party wear chiffon nylon cotton saree, encompass pink shaded pallu with black skirt portion having rich kashmiri embroidery - butti work with stone, moti & tiki work in lower part of pleats. 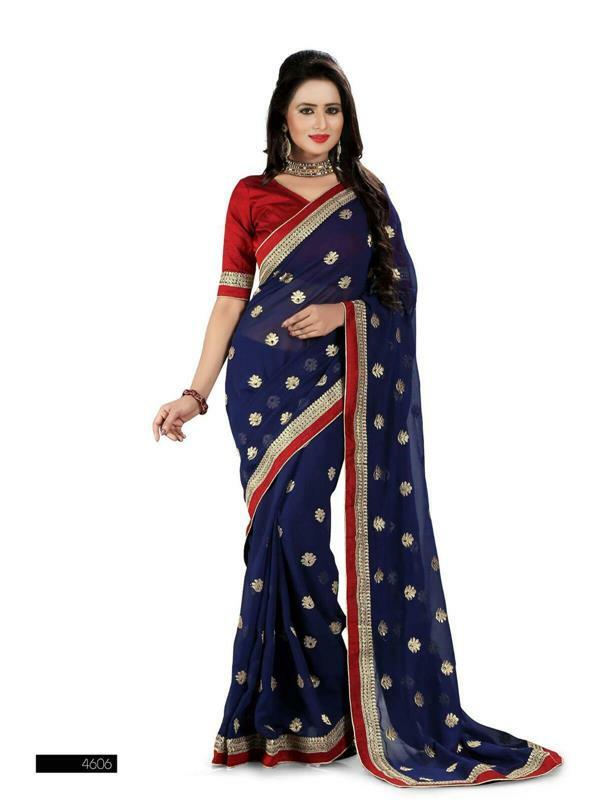 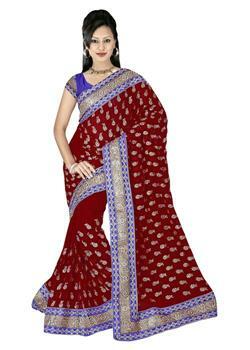 The entire saree enhanced with pretty border inflated with the zari embroidery, lace & patches. 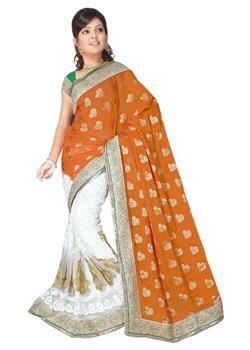 The matching unstitched blouse with embroidery patches.